We're at Sony's first MWC press event as a standalone mobile phone manufacturer. 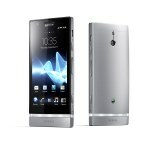 Sony gets right to it - Xperia P (rumored as Nyphon) and Xperia U (rumored as Kumquat) go official. They are the smaller versions of the Xperia S.
The Xperia P has a 4" display of qHD (540 x 960) resolution, which features the so called "White Magic" technology for superior sunlight legibility. It has an 8 MP camera with 1080p video recording and a dual-core NovaThor U8500 processor with 1 GB of RAM. It's an aluminum unibody device. 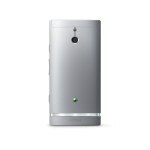 The Xperia P will come in brushed aluminum finishes in three versions. It also has NFC connectivity compatible with the Xperia smart tags. 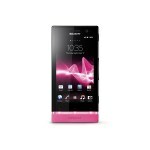 The Sony Xperia U has a 3.5" 480 x 854 Reality display, Sony's xLOUD technology, a 5 MP camera with 720p video recording, dual-core 1 GHz processor and 512 MB RAM. The Xperia U's transparent band at the bottom changes color too. Both devices will be globally available in Q2 this year. 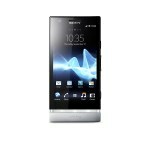 Also the Xperia S is now shipping globally and will be available at the Barcelona Sony Store exclusively this week. Here's our overview of the Sony press event including hands-on with the devices. if only the Xperia P had more memory , 16 GB is not good enuff ... Y isnt thr a 32 GB version ??!?!?!!?!?!?!? no, Xperia Ion will NOT be released globally. 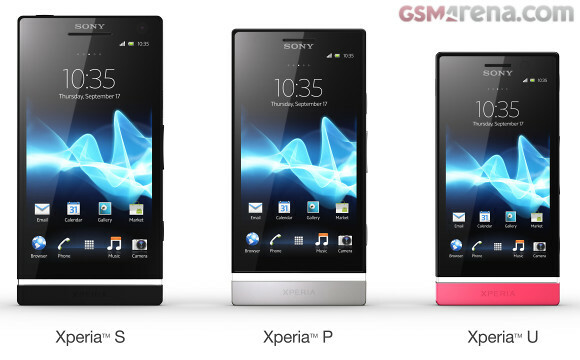 it's "international version" is Xperia S, wich is just as ugly as all of these new models.